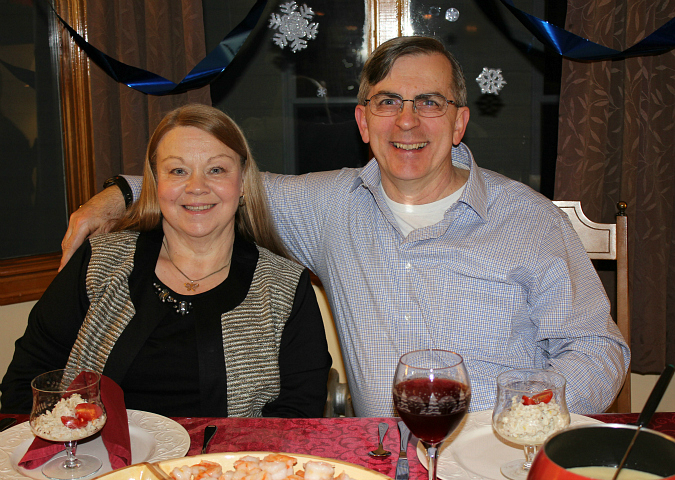 we celebrated new year's eve with my parents at our house. 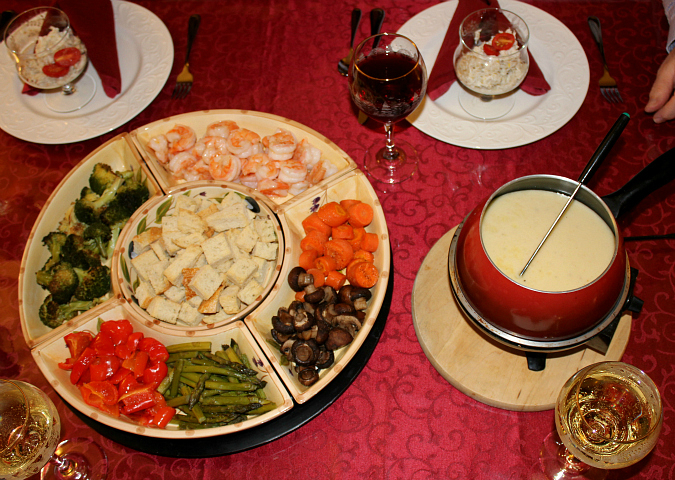 we kicked off the evening with crab appetizers, then for dinner my mom made fondue 1970s style. we had bread, shrimp, beef, and veggies to dip in the cheese. it was all so good. 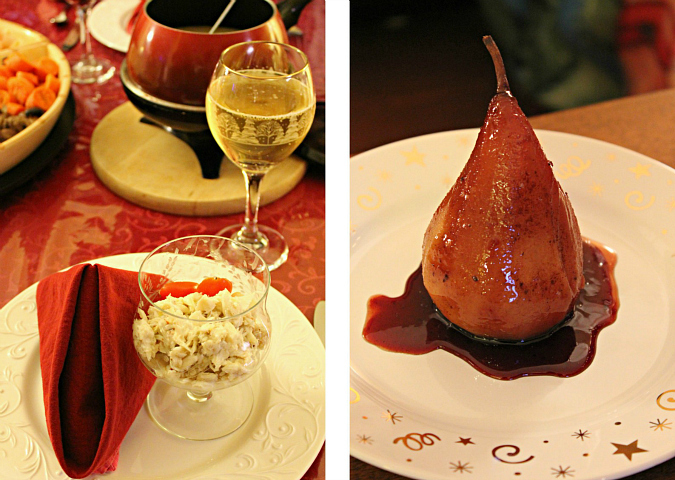 we capped off the night with poached pears and mini cheesecakes for dessert while we curled up on the couch to watch a movie. at the end of the night we watched the times square ball drop on tv. it was a great way to bid farewell to 2015! on new year's day, we went down to my parents' house for our traditional pork and sauerkraut dinner, and we spent time with our family and friends. 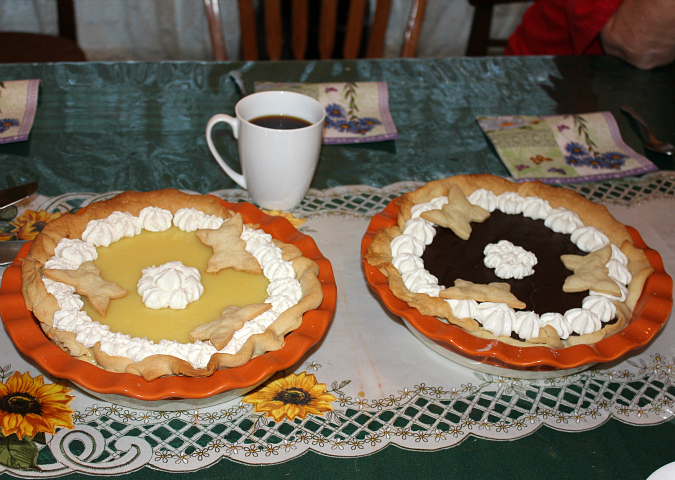 we enjoyed my mom's chocolate silk pie and key lime pie for dessert too. 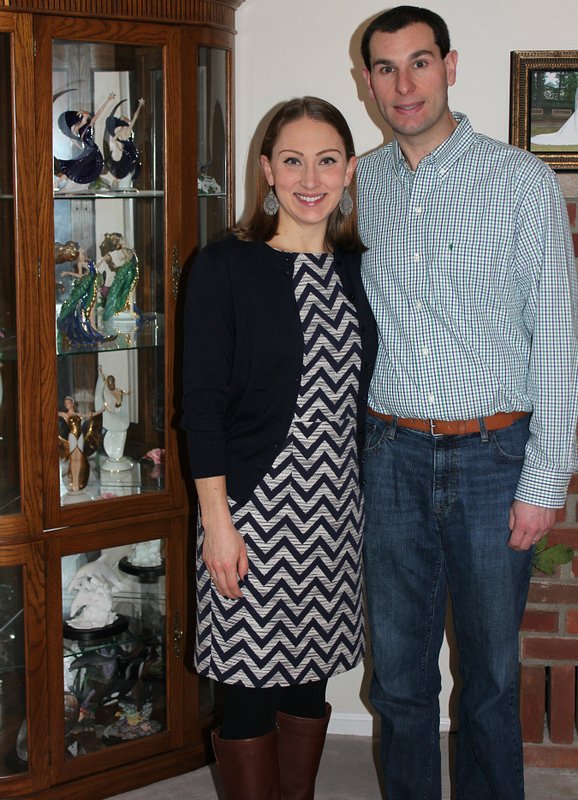 it was a great way to kick off 2016! we really enjoyed ringing in the new year with our family. 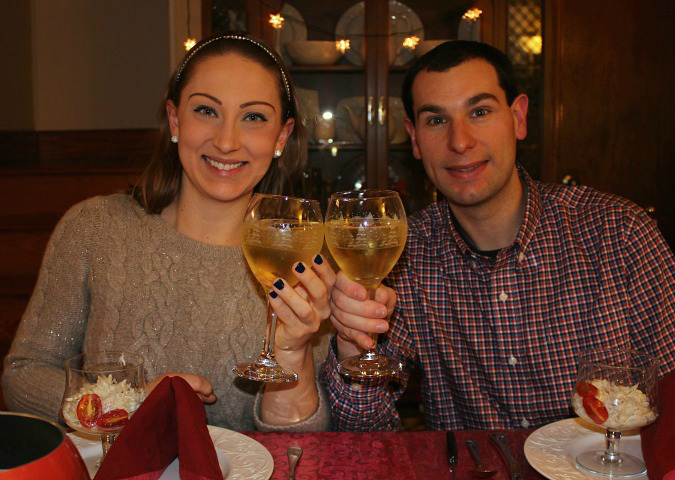 here's to a happy and a healthy new year! We had a great time New Year's Eve and New Year's Day spending time with you and Ryan and family and friends. The pear looks so elegant on the plate. The fondue looks yummy too. We will have to make that more often.